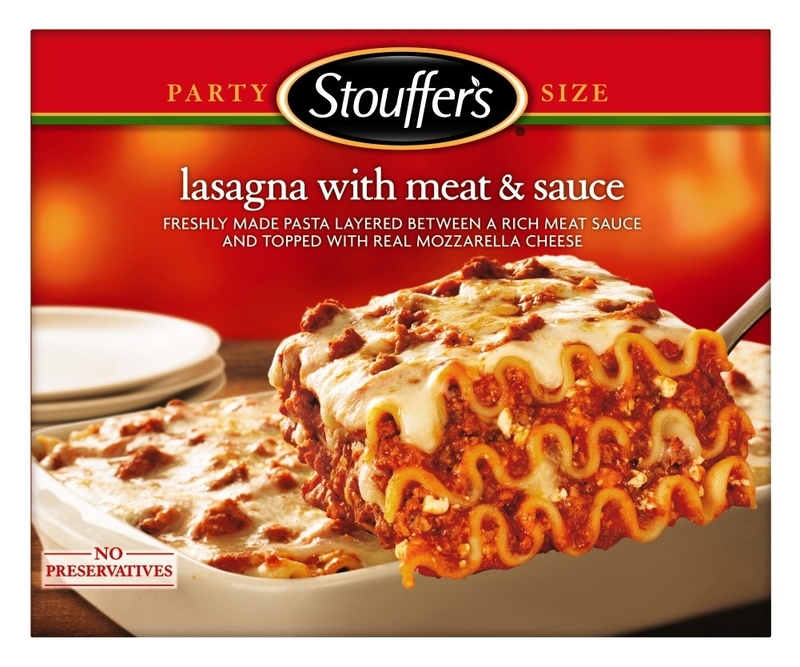 I've had a request to share my delicious Lasagna recipe. I've been keeping it to myself long enough, but it's too good not to share so without further adieu, here she is..
Yup, that's 'my' recipe. 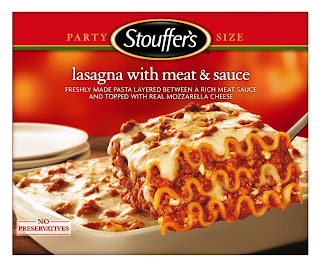 Good ole' Stouffer's lasagna with meat & sauce. It's currently in the oven right now & smells better than ever. After dinner, the boyfriend & I will be watching 50/50. I have no clue what it's about but he rented it today and asked if we could watch it. Lasagna sounds delightful! Enjoy! Happy Tuesday! Your boyfriend will be impressed trust me.